Lets do our part to raise money for an amazing charity. 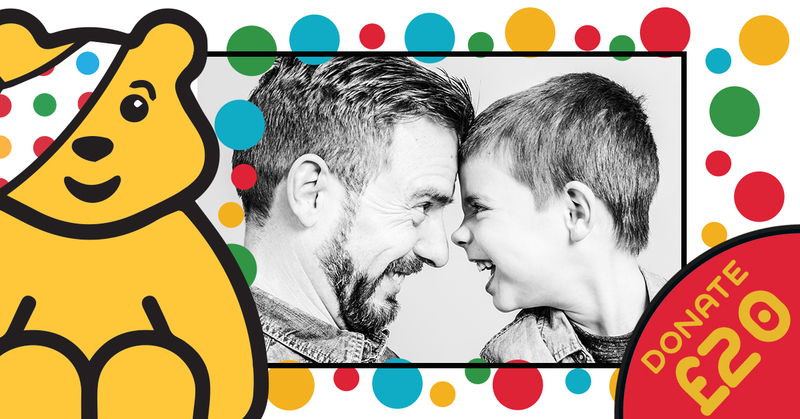 Donate £20 to Children in Need via our Just Giving page below and claim your Family Portrait Voucher worth £170 which includes a full family shoot and £75 off all our products. Once you have donated your £20 please fill out the form below so we can get in touch with you. Please take note of your Just Giving reference number.